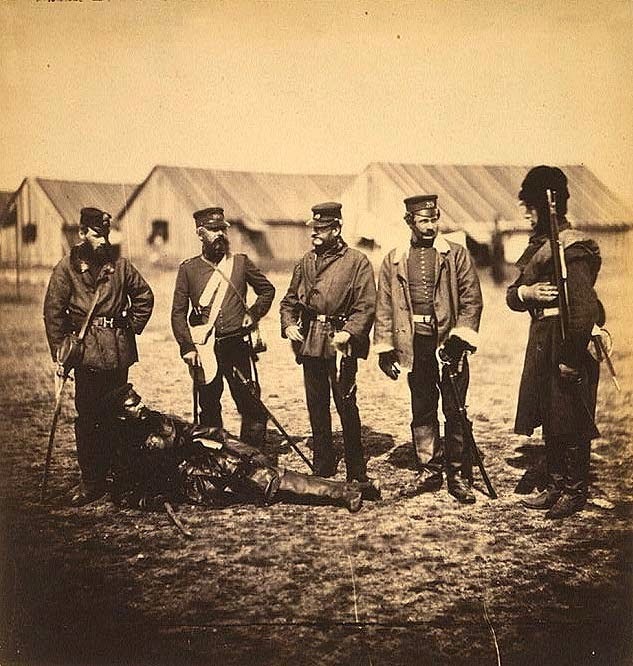 William Munro’s unit in the Crimea: (FLTR) Major Leckie; Major Hudson; Lieutenant-Colonel Tinley; Major Strachan; Lieutenant-Colonel Munro; Sergeant Major Jobberns. Photo by Roger Fenton, 1855. William Munro (1818-1880) was born in Druids Stoke, Gloucestershire in 1818. 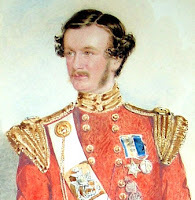 He entered the 39th Regiment of Foot as an ensign in 1834. He was promoted Lieutenant in 1836, Captain in 1844, Mayor in 1852 and Lieutenant Colonel in 1853. His unit arrived at Balaclava, Crimea on New Year's Eve 1854. They immediately moved into the siege-lines around Sebastopol. Although there were periodic sorties, the bulk of their time was spent in the trenches. They left the Crimea in May 1856. In 1878 he achieved the rank of a General. Munro was also a botanist. During the military expeditions he collected and studied many plants. He was a experienced agrostologist and considered to be the greatest authority in the study of grasses. In 1886 he published a study describing all the 219 bamboo species then known. Munro also gave his name to a number of plants. In that war of Crimea, some troops of the King of Turin helped the French, against the Russians. The French, afterwards, reciprocated the help to Turin against Austria and the Kingdom of Turin-Sardinia conquered 85% of all Italy in the space of 2 years. In Turin there is an important street named "Corso Sebastopoli". Besides, "Sebastopoli", "Crimea" and "Cernaia" are names very frequent in the streets' lists of several Italian towns. Interesting, I didn't know this. I wouldn't have expected a connection between the Crimean War and the unification of Italy. Great post. After viewing most of your Crimean posts to date, I was surprised to read that Munro practiced botany while in the campaign, that is until you mentioned that he was an authority on grasses. That seems to make more sense given the flora in the images. Thanks for the informative post.